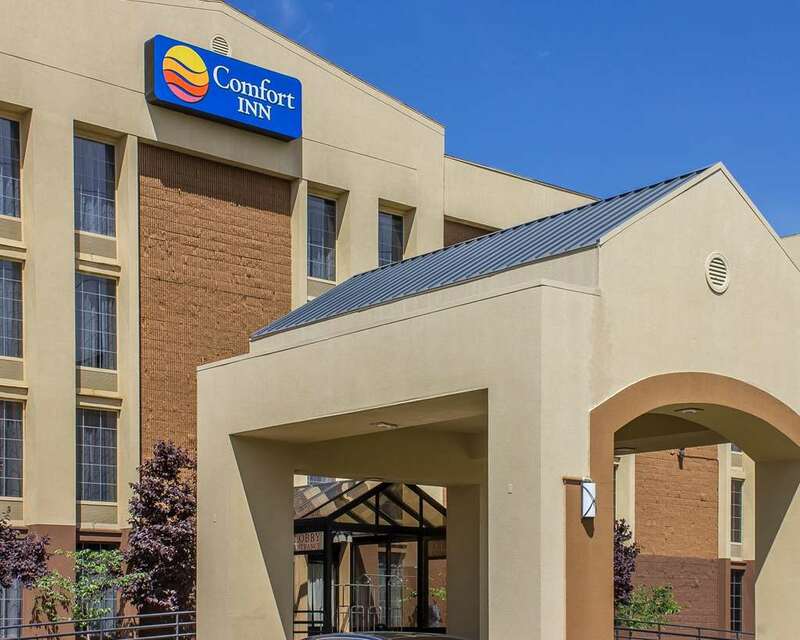 The Comfort Inn Wethersfield-Hartford hotel in Wethersfield, CT will get you rested and ready for anything. Nearby destinations include the XL Center, Mark Twain House and Museum, Dinosaur State Park, Connecticut Convention Center and Wadsworth Atheneum Museum of Art. Take advantage of amenities like free hot breakfast, free WiFi, our 92-guest meeting space, fitness center, free weekday newspaper and guest laundry facilities. Rooms include a flat-screen TV, microwave, refrigerator, pillow-top mattress and a coffee maker. Also, earn rewards including free nights and gift cards with our Choice Privileges Rewards program.